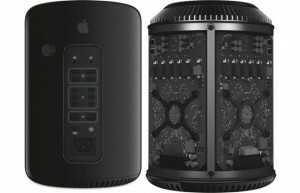 In June 2013, Apple announced radically redesigned Mac Pro, which was a stunning example of high tech form and function. But soon thereafter, problems began to creep up, causing many to question its stunning price tag and dubbing it the “trash can Mac.” With no updates for 3 years, the complaints of Apple forsaking the pro market returned. Cook moved to assure pros that Apple hadn’t forgotten them, and that something special was in store. Now we know what it is, a new modular Mac Pro. Forsaking the pomp and circumstance that comes with your standard Apple product event like WWDC, the company chose to invite several key journalists to talk about Apple’s upcoming plans for the year. 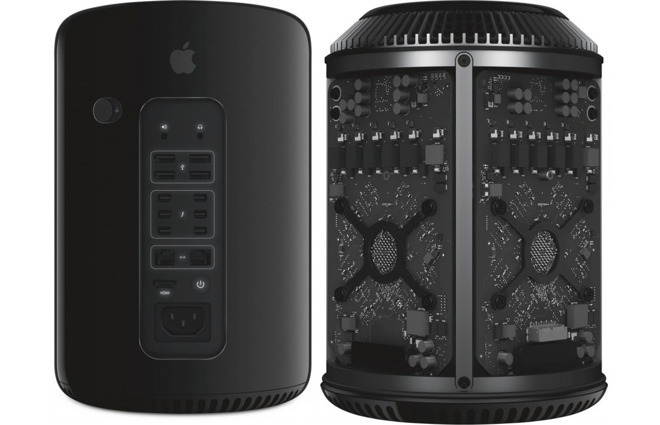 In a one-on-one with Apple VP of marketing Phil Schiller, Craig Federighi, and John Ternus, journalist John Gruber of Daring Fireball, and several others got a sneak peak of what Schiller called a “complete rethink” on the Mac Pro. The chief beef of the ‘trash can Mac’ was, thanks to its tightly packed, cylindrical, central-core design, the Mac Pro couldn’t upgrade the video card or easily insert more RAM, or anything else should that pros would want to refresh it down the line. That was frustrating enough, but then there was the three year gap with literally no updates. The result was that some liked it, many didn’t. So Apple is rethinking the central core design to make it both modular and upgradable. “We have a team working hard on it right now, and we want to architect it so we can keep it fresh with regular improvements,” Schiller said. 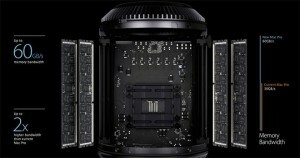 “We think it’s really important to create something great for our pro customers who want a Mac Pro modular system, and that’ll take longer than this year to do.” Schiller also told the cadre of select reporters that Apple will also be announcing new cinema displays to go along with the ‘Mod Mac,’ as well as upgraded iMacs later this year, which will have specific configurations for the professional market. The modular Mac Pro won’t be made until after 2017, but no firm date was announced. But Schiller also assured that while Apple is taking its time making a Mac Pro that professionals will be thrilled to use, they are also sensitive to the fact that many pros don’t want to wait another year. So Apple is going to work to “update the configs,” as Schiller put it, on the existing Mac Pro desktops to squeeze every bit of performance out of the existing design. So if you need to buy a Mac Pro now, Apple says that the CPUs and GPUs built in will get priority and provide more performance per dollar. 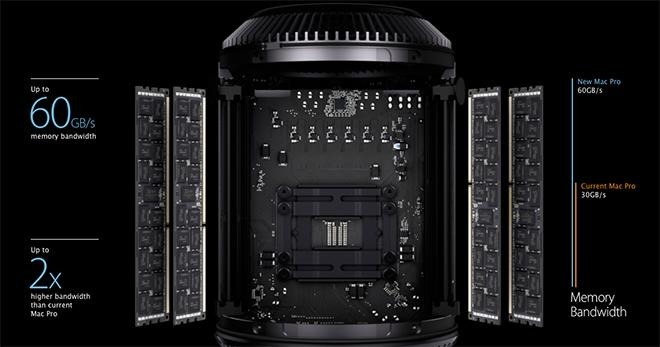 To that end, Apple has announced that in the interim, the Mac Pro is getting modest performance improvements, including a six-core Xeon CPU with dual AMD G500 GPUs, starting at $2,999, and an 8-core model with dual D700 graphics cards for $3,999 (it’s not yet available to purchase). Check it out here; you can also save big with an Apple-refurbished Mac Pro. I’m not sure it’s comforting for those who need to upgrade now. More likely a customer will either get the new iMac later this year, or just go with a PC in the interim. The truth of the matter is, the 5K iMac is just about as capable as the Mac Pro. Even Schiller admitted that the Mac Pro is the third most popular Mac for professionals behind the MacBook Pro and the iMac. So much so that it’s market share is in the single digits of Mac sales. That probably explains why it’s been so low on Cupertino’s list of update priorities, but I can’t help but wonder if that’s self inflicted due to the problems that the late 2013 Mac Pro faced over the last three years. Still, it’s exciting to see that Apple is finally addressing the upgrade issue on the Mac Pro, and the ‘Modular Mac’ is a good start.